The ILDAmember.com website is used for new member signups, existing member renewals, event registrations, and password-protected Members Only pages. 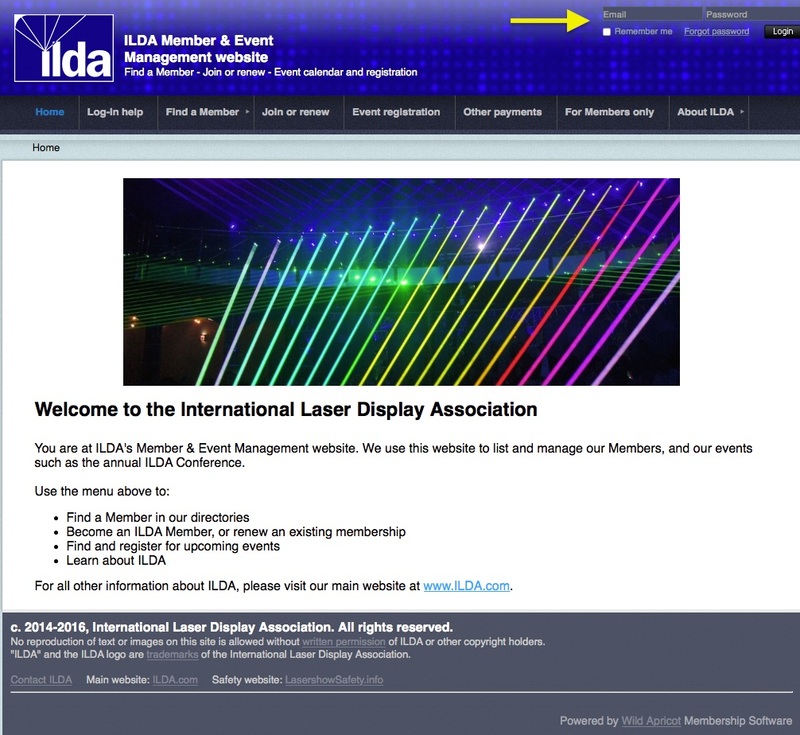 If you join ILDA, or want to attend an event, you will be asked to create an account so the site can remember you. Once you have done this, you can log in to the area in the upper right (yellow arrow). Keep your login email and password handy for future reference. If you forget it or have problems, check the Log-in help page.